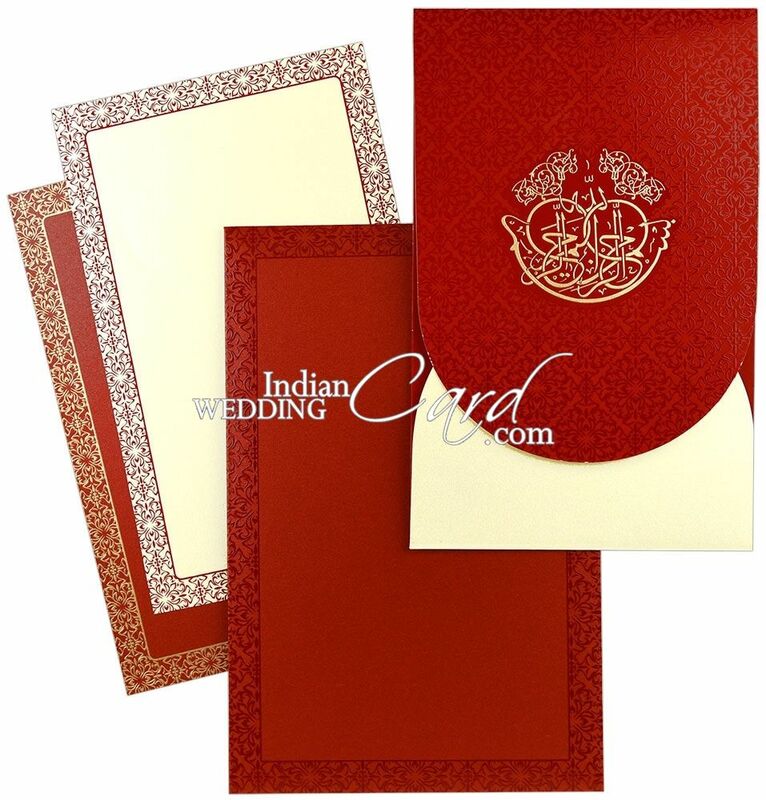 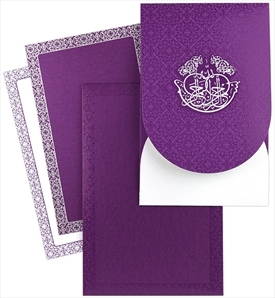 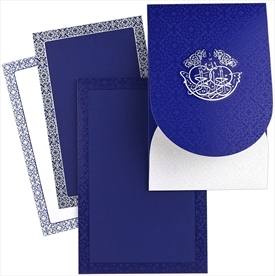 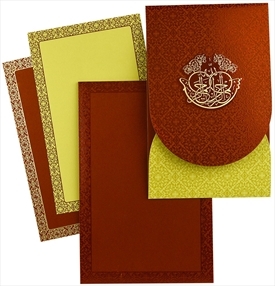 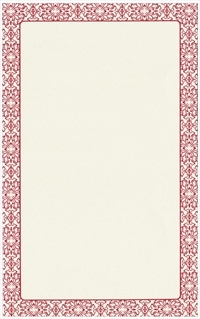 Card cover and side folds are printed matt occur red color overlaid with ornate pattern in shinny UV on front only. 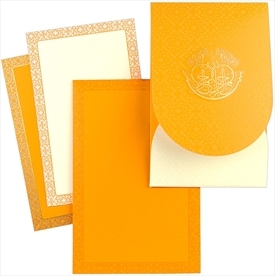 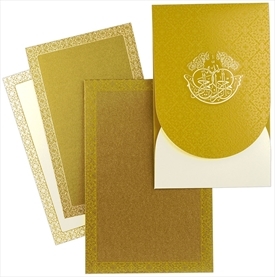 “Bismillah- Ir Rehman Ir Rahim” in gold sets up the main theme of the card. 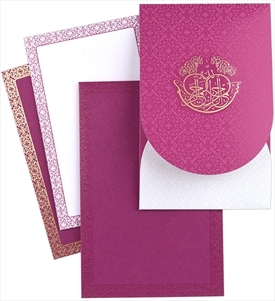 The envelope too has ornate border all around with UV print on it. 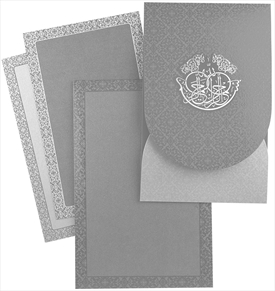 The inserts too have same border but in matt. 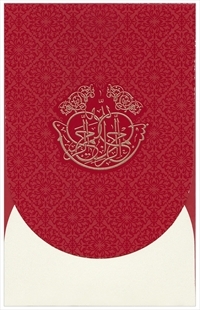 An extremely beautiful wedding card! 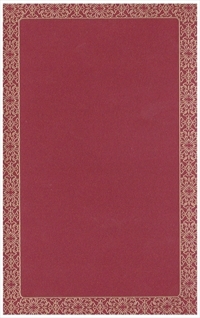 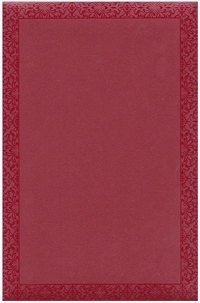 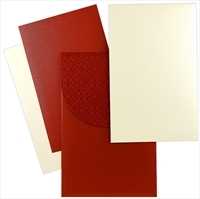 Shimmer dark red paper (250 gsm) for envelope and 1 insert. 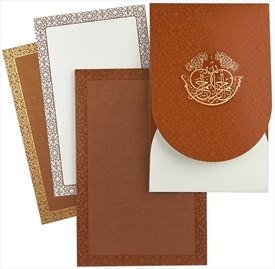 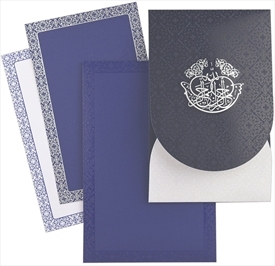 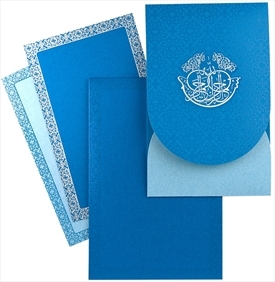 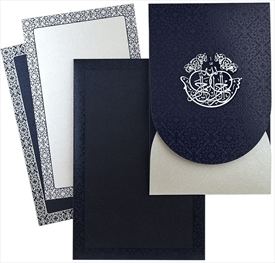 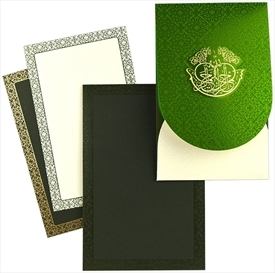 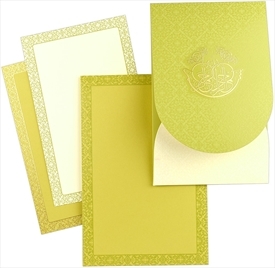 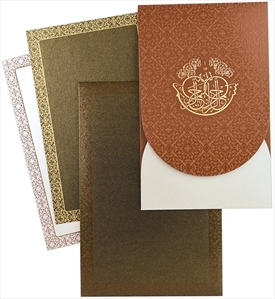 Shimmer cream paper (250 gsm) for main card and 1 insert.